Product prices and availability are accurate as of 2019-04-26 10:18:07 EDT and are subject to change. Any price and availability information displayed on http://www.amazon.com/ at the time of purchase will apply to the purchase of this product. In this widely popular book, pre- and in-service elementary and secondary school teachers get the tools and confidence they need to meet the educational, behavioral, and social needs of every student in today’s diverse classrooms. 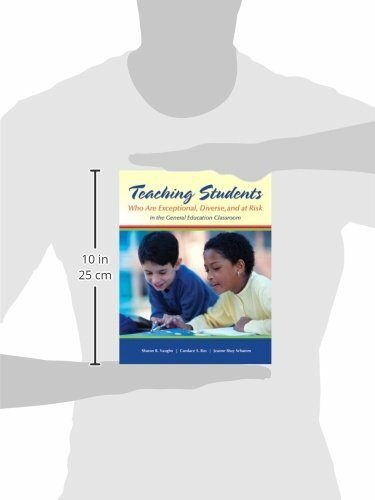 With its numerous learning activities and sample lessons–plus stories from teachers, students, and parents–it features a strong focus on applying practical, proven strategies for effective teaching and learning. 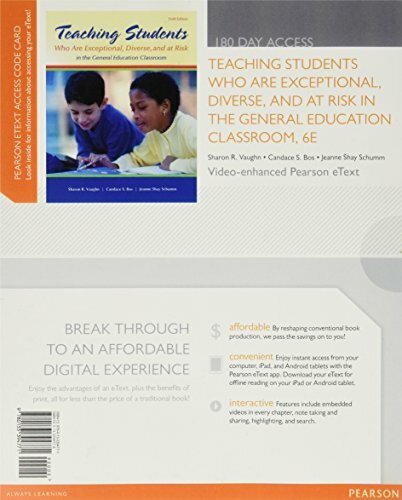 Teaching Students Who Are Exceptional, Diverse, and at Risk in the General Education Classroom is the ideal guide for today’s busy classroom teachers who identify students with special needs as both their greatest challenges and often their greatest rewards.